Although Israeli Prime Minister Netenyahu in his speech to Congress painted Iran as a threat to peace, he left out important details concerning the relationship between Iran and the West. There is considerably more to the story. The uncomfortable fact is that, by any fair measure, Iran has been more sinned against than sinning. To explain, we will need to dip into what George Orwell called the “Memory Hole” and review the momentous events of the 1940’s and 1950’s as well as their far-reaching consequences. For several years after the Second World War, the U.S. had a positive image with many Iranians. After helping to convince occupying Soviet forces to leave the country, and attempting to mediate an agreement between Iran and Great Britain, the American government was generally well regarded. But these good relations were not to last. During the summer of 1953 a major crisis developed between Tehran and Washington. At that time Iran was an emerging democracy with elected leaders. Led by the popular Prime Minister Mohammad Mossadeq, it was embroiled in a conflict with the British over oil. The Anglo-Iranian Oil Company was owned by British interests and supported by the British government. In a grossly unequal colonial-style arrangement, the Iranians were not even allowed to examine the ledgers. As the dispute with the British intensified, the Iranians finally became determined to nationalize their country’s oil industry. The British responded by freezing Iranian assets, imposing a worldwide embargo on Iran’s oil, and pulling their technicians out of the country. Oil output slowed to a trickle, Iran’s economy went into a tailspin, and unrest grew. Britain’s destabilization efforts were working. Although the Truman government had been sympathetic to Iran, in 1953 the new Eisenhower administration accepted the British view that the Iranian regime had to go. On July 11th President Eisenhower secretly signed an order to overthrow Iran’s young democracy. The die was cast. On August 19th the U.S.-orchestrated military coup emerged triumphant, and the exiled monarch, Mohammad Reza Shah Pahlavi, was installed on the Peacock Throne. 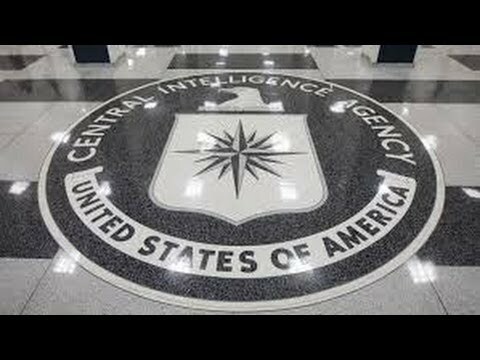 A secret history of this CIA operation, written in 1954 by agent and participant Donald Wilber and leaked to the press, leaves no doubt as to the central role played by the United States. Had the Shah been a benevolent ruler, the image of the U.S. in Iran might not have become so tarnished, but benevolent he was not. And to make matters worse–much worse–American and Israeli intelligence agents organized SAVAK, the Shah’s personal secret security force. Before long, Iran developed into a full-blown police state complete with thousands of informers, censorship, arbitrary arrest and imprisonment, and widespread torture and assassination. Of course, none of this was a secret to the Shah’s many U.S. advisers. Aiming to terrorize an entire population, SAVAK repression was both extreme and widespread. Few Iranian families were spared, and among the victims were family members of the Shiite clerics who would later overthrow the Shah’s regime in 1979, and spark the seizure and hostage-taking crisis at the U.S. embassy. An honest assessment of these events would lead to an understanding of why the United States government is loathed by so many Iranians. They are fully aware of American complicity with the Shah’s twenty-five year reign of terror. Although the Clinton administration did offer a partial apology, the admission never made it into the consciousness of the American people, nor into the perspective of the main stream media. Its time for a new direction in US-Iranian relations. Whatever one may think about the government of Iran, tne Iranian people do not deserve to be subjected to the collective punishment of illegal economic sanctions. The U.S. trade embargo against Iran should be lifted. The issue of weapons of mass destruction can only be resolved in the context of recognizing that Iran has legitimate, real, and rational security concerns including Sunni extremism. For its part, Iran also needs to make changes. Its government must show far more respect for the rights of dissidents and demonstrators. All political prisoners should be released, and press censorship end. A judicious mix of honest atonement by both sides, along with other confidence-building measures, can lay the foundation for a new and mutually beneficial relationship between Iran and the West. But above all, Americans need to acknowledge that the overthrow of the Iranian government in 1953 was a dark chapter in the history of the United States, and resolve that it not be repeated. Arnold “Skip” Oliver is Professor Emeritus of Political Science at Heidelberg University in Tiffin, Ohio. A Vietnam veteran, he belongs to Veterans For Peace, and can be reached at soliver@heidelberg.edu.